One of the biggest mistakes newer runners make is hitting the pavement too quickly without proper progression. 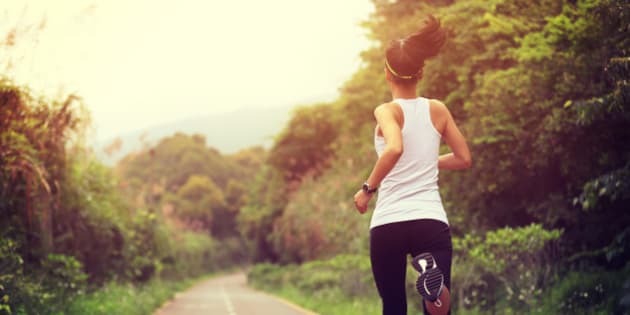 Here are some key tips to ensure you get back to your outdoor running safely, effectively and that you improve your running performance while remaining injury free. We witness it every year; that first couple of weeks when the weather breaks, the sun comes out and the contrast of warmer temperatures has runners flocking to the streets. Spring has sprung and with it comes the hustle to ramp up our outdoor run conditioning and get our bodies on track for the anticipated summer season. Most spring running injuries stem from doing too much too soon. Remember, if you are a runner who avoids the outdoors in the winter, you're joints are not going to be accustomed to the impact when you hit the pavement in the spring. Even though your cardiovascular system may be conditioned from some indoor winter cardio running, progression is important when it comes to returning to the pavement. Try incorporating a test run. If you're a winter treadmill runner who normally runs five to 10 km, try to make your first pavement run approximately two to three km less at a slower pace and break it up with a couple minutes of fast walking. If you are just starting out as a beginner runner, you will benefit from a walk-run routine (example: two minutes jog/ three minutes power walk for 20 minutes). After a couple of weeks, your joints will begin to adapt to the impact as the supporting muscles and tendons increase in their strength. A good rule of thumb is to increase about 10 per cent distance per week when training for a distance race. Most of the common repetitive strains and injuries I witness with clients who are competitive or recreational runners are ailments that stem from muscular imbalances. Many injuries are avoidable if the body is able to withstand the prolonged impact of running. 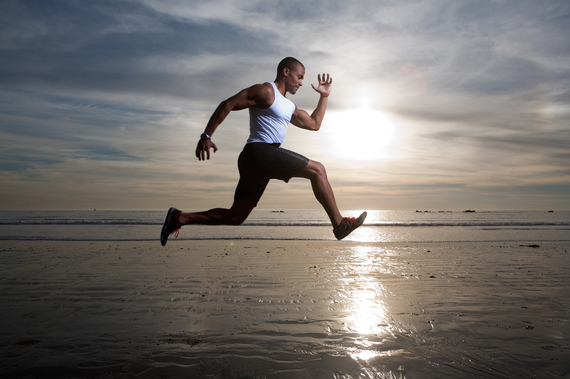 Running mechanics are based on natural gait that we were born with, however; other lifestyle implications such as sitting for long hours can wreak havoc on our posture, shorten our muscles in the front of our body and cause our posterior chain (muscles in the back of the body) to be comparatively inactive. The result is muscular imbalance and postural weakness. Compound that with the repetitive impact of running and you predispose your unstable joints to uneven strain. The key to improving muscular imbalances is to firstly seek out a fitness professional to undergo a functional movement screen. This allows you to identify areas of weakness, imbalance and poor mobility. Include two to three days per week of functional strength training. This entails, using the knowledge from your functional movement screen to address areas of weakness during your strength conditioning workouts. Functional strength training involves incorporating whole body natural movements through full range of motion. Exercises such as deep lunges, trunk rotations, deadlifts and squats can help improve joint strength and therefore transfer to enhanced running mechanics. Check out this Runner's Workout for some great tips and exercises to improve your running and decrease injury risk. It is equally as important to have a regular focus on joint mobility. Warming up before your run should include activities like light jogging, lunges, leg swings and dynamic stretches (moving through the range of motion) in order to increase circulation to the joints and prepare your body for exercise. Tools such as foam rollers and massage balls can be instrumental post-run to ensure that you restore muscle pliability, enhance tissue tolerance and enhance post-run recovery. Here are some examples of mobility exercises focussing on myofascial release. To ensure good running mechanics are encouraged throughout the duration of your runs, it is important to have the proper footwear. Running shoe type can be dependent on the length and type of running that you are planning to do. Everyone's needs are different physiologically; some may have a neutral foot placement while others may over-pronate (foot rolls inward during gait cycle) or over-supinate (foot rolls outward during gait cycle). In addition to differences in foot placement, there are also differences in foot widths. I recommend that you go to a reputable footwear store where your foot can be properly assessed for your running needs. Some brands such as New Balance come in many widths to suit a wide variety of foot sizes. One of the best ways to ensure success with any fitness goal is to choose a tangible event to train for. With spring comes the start of many local running races of all distances. Spring running events like the Sporting Life 10K are not only extremely motivating but allow you to stay on target with your fitness goals and join thousands of people in supporting a great cause (in this case Camp Ooch; providing unique camp experiences for kids with cancer) .